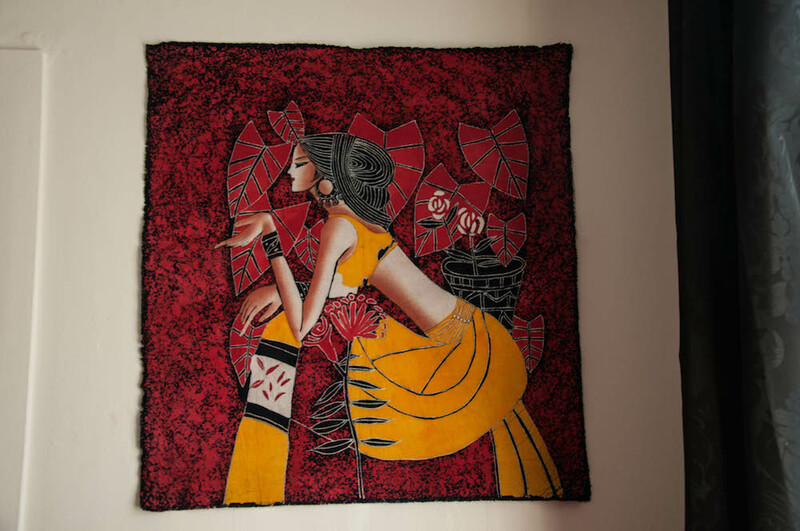 The beautiful hand made and painted Japanese tapestry bought in London in 2008. Some time ago while talking to Steve, a friend met in Reykjavik, about traveling and the best way to do that and much more, he told me about how he found himself into Minimalism, trying to possess only 100 things. Useless to say, I loved the idea. As many of you already know, my philosophy is indeed that not having lots of possessions is the base for traveling. “If you want to travel, you travel light”, I keep repeating to everyone who asks about suggestions for a life on the road and this Minimalist idea sounded like the perfect philosophy to something I have been applying to my life for a while. 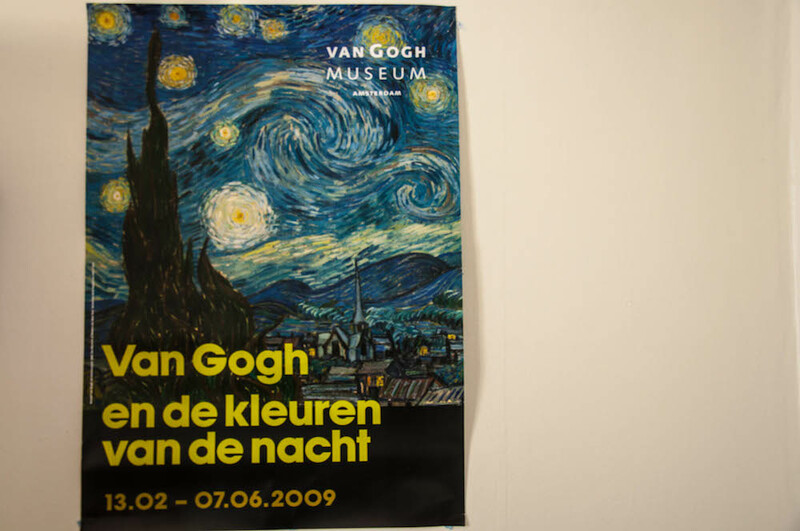 The poster of the first exhibition I saw in Amsterdam in 2009, where my favourite painting, Van Gogh Starring night’s was shown. Steve suggested to write down a list of what you have, to make things clear, as it will make you understand not only what you have but also if you have too much. So, one day, I wrote down my list. 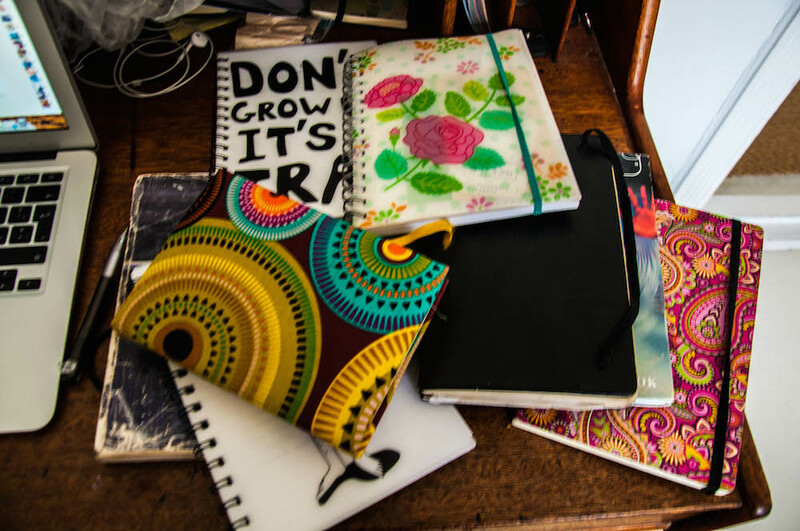 Writing a list of your belongings helps you to notice details of you, your life and your personality you have never noticed before. – I have more books than shoes. Which is good. I would be worried if it would be the contrary. – I have only one hand bag and I almost never use it. I think I am the only woman in the world who lives without an hand bag. I am happy for that. I tend to forget my handbag around if I use it. 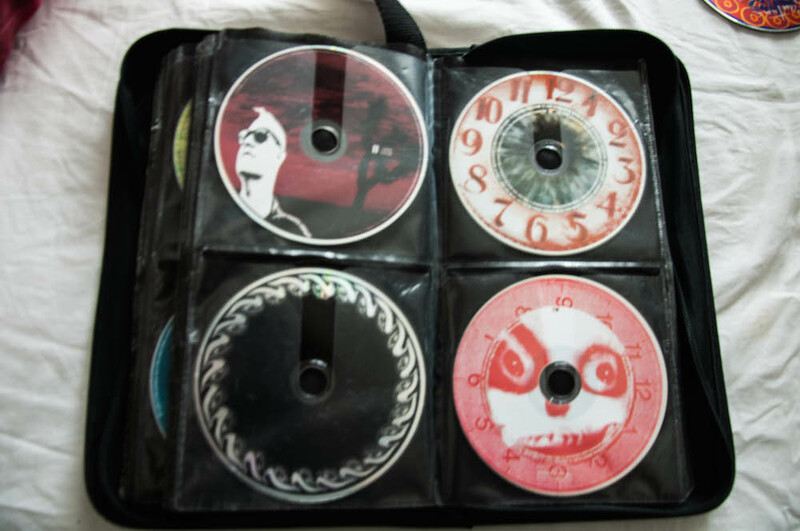 – In general, I have more cds than anything else I own. 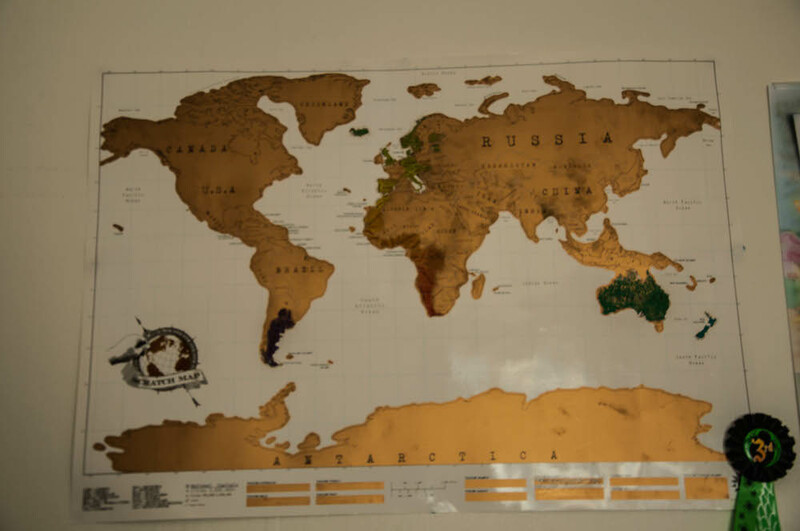 – The 4 posters, the world map, the painting and Freddie Mercury’s mask, both gifts by my best friend in Amsterdam, are often uncomfortable to bring around but they are also the only way I have to make every new place in my place. The little details always make the difference. 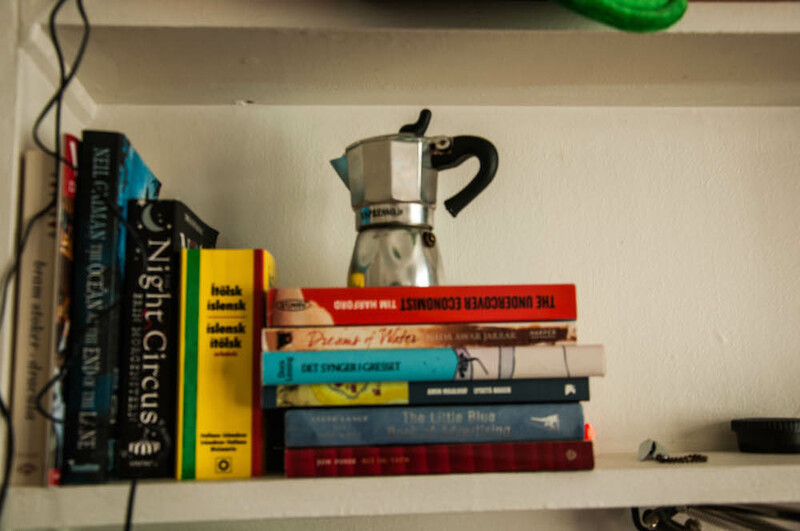 – The Italian coffee machine, given to me by my mum before I left to Holland, is to remind me where I come from. I can live without spaghetti and pizza, but do not take out of me my espresso in the morning. – I keep collecting diaries by everyone. A diary is the most common gift I receive by my friends around the world. Those who knows me well, know how much I love writing and telling stories. I keep accepting them with joy, keep buying more when I wanna gift myself with something nice and the result is that I currently have way too many diaries to write on. Maybe it is time to start writing that famous book everyone is waiting for, don’t you think? – I am not a big fan of make up and stuff like that, but I cannot go around without my curly hair products. I’d become a rasta woman without them. – I only have 3 pair of shoes, one for everyday life, one for the gym and one for hiking. Believe me, that’s more than enough. I don’t have high heel shoes to go dancing because you cannot dance wearing high heels anyway. 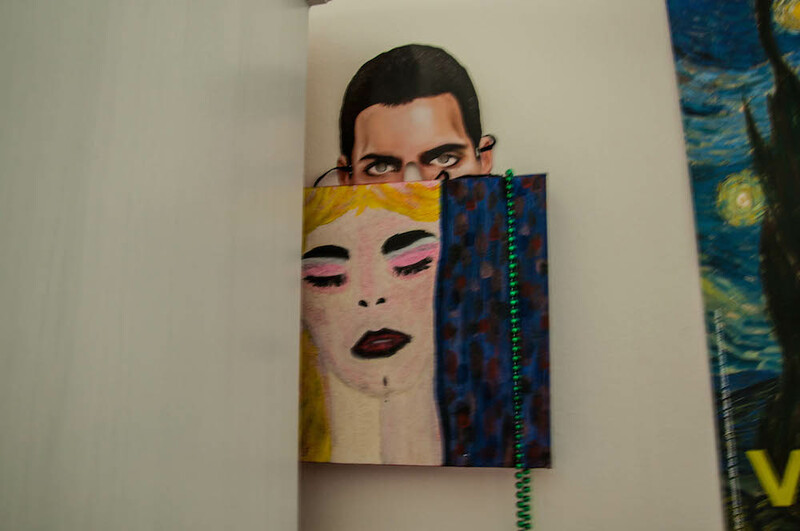 Gifts by my best friend: a painting and Freddie Mercury’s mask. I can’t travel without those two! As you can see, it is not much. It is enough to fill a suitcase and a backpack and to feel free everytime I want to move somewhere else. That is called Freedom, it is my real belonging and I’d never exchange it for any other possession in the world. My 8 diaries full of stories, thoughts, travel memories, adventures, life. Qualche tempo fa parlando con Steve, un nuovo amico conosciuto a Reykjavik qualche mese fa, sul viaggiare e sul modo migliore per farlo, mi aveva accennato come aveva da qualche tempo adottato la filosofia minimalista, cercando di possedere solo 100 cose nella vita. Inutile dire che appena ho sentito parlare di questa filosofia mi ero subito interessata alla cosa. Come ben sapete, uno dei miei motti si basa proprio su un principio simile: “Se vuoi viaggiare, devi viaggiare leggero”. La filosofia minimalista mi ha subito colpita perché è qualcosa che applico alla mia vita quotidiana da sempre. Steve mi aveva suggerito di scrivere una lista delle cose che possiedo perché mi avrebbe aiutato a capire non solo cosa posseggo ma anche se posseggo troppo. Compilare una lista del genre aiuta a scoprire dettagli su di sè stessi e la propria personalità che prima erano lasciati al caso. – Ho più libri che scarpe. E questa è cosa buona. Mi preoccuperei se fosse il contrario. – Ho solo una borsa, che tra l’altro non uso mai. Penso di essere la sola donna al mondo che non usa borse. Anche di questo sono felice. – In generale ho più cd che qualsiasi altra cosa. – I poster, la mappa del mondo, il quadro e la maschera di Freddie Mercury, questi ultimi regali del mio amico Gio di Amsterdam, sono spesso scomodi da portare in giro ma sono ciò che mi permette subito di trasformare qualsiasi posto in casa. – La macchinetta del caffè, datami da mia madre prima di partire per Amsterdam, mi serve per ricordarmi da dove vengo. Posso tranquillamente vivere senza pizza e spaghetti, ma non toglietemi un caffè come si deve a prima mattina. – Continuo a collezionare diari e quaderni da parte di tutti. 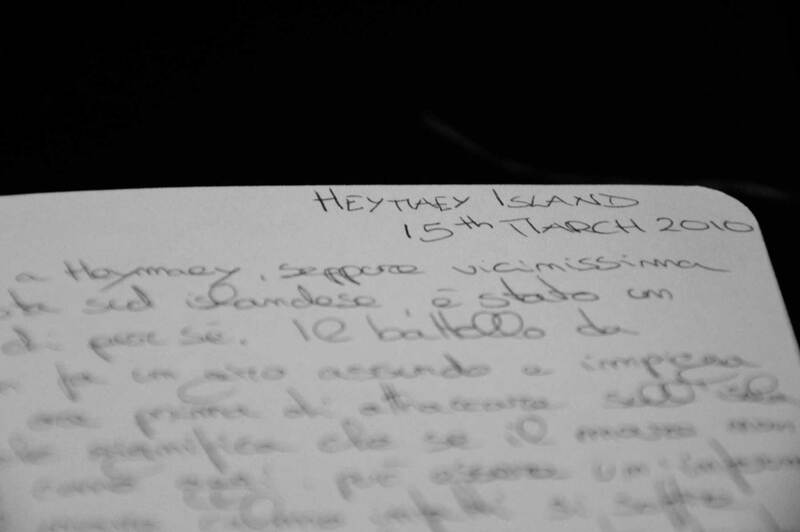 Di solito un diario è il regalo più comune che ricevo al mondo; quelli che mi conoscono bene sanno quanto ami scrivere e raccontare storie. Io continuo ad accettarli con gioia, o a comprarne dei nuovi quando io stessa voglio regalarmi qualcosa di speciale, e il risultato è che al momento ho troppi diari su cui scrivere. Forse che sia arrivato il tempo per iniziare a scrivere quel famoso libro che tutti stanno aspettando? Che ne pensate? – Non sono una grande fan di trucchi e make ups, ma non posso andare in giro per il mondo senza i prodotti per i miei capelli ricci. Diventerei facilemnte una rasta. – Ho solo 3 paia di scarpe, uno per tutti i giorni, uno per la palestra e uno per il trekking. E credetemi, 3 paia sono più che abbastanza. Non ho scarpe col tacco per andare a ballare, anche perchè come cavolo si fa a ballare coi tacchi? My Italian coffee machine, because life abroad would be much harder without this. Come potete vedere, ciò che posseggo non è tanto. Ma è abbastanza per riempire una valigia e sentirmi libera ogni volta che voglio andare da qualche altra parte. Si chiama Libertà, è l’unica cosa che posseggo davvero e che non scambierei per nessun altro bene al mondo. Would you like to help me to raise funds for a new camera?